The Media Development Loan Fund, or MDLF, is a pioneering international nonprofit organization formed in 1995 by Sasa Vucinic and the late Stuart Auerbach with seed money from George Soros’ Open Society Institute. The idea behind MDLF was to create a loan fund for the free press in fledgling democracies. Now celebrating 15 years, nearly 100 million dollars in loans and 200 projects in 24 countries around the globe, MDLF wanted to create a book to commemorate its achievements. If you understand that the free press is an essential precondition and catalyst for democratic change and that 83% of the world’s population is still without access to any kind of free media, you get an idea of how important MDLF’s work is in the world. In every new democracy or proto-democracy there are always those who are willing and able to create a free press. What is much less available is a no-strings-attached financing to make this possible. So in comes MDLF with low-cost financing, lots of experience, and management and technology training. It often makes all the difference in the world, and in nearly every case the projects they fund not only survive, but they thrive such that the default rate on their loans remains extremely low. MDLF has, for the past 15 years, been very busy quietly loaning money to a variety of media clients including newspapers, magazines, radio stations, and websites. The only precondition for their loans are a viable business model on the part of the client—so that they can remain financially independent—and adherence to international journalistic and ethical standards, and no state, political party, oligarch, or foreign ownership. In practice, virtually all their clients are led and owned by entrepreneurial journalists. Many of their clients face tremendous challenges and in some cases would not have been able to survive but for the loans and other assistance given to them by the MDLF. In many countries or regions, an MDLF client serves as the only source of professional, reliable, unbiased news. 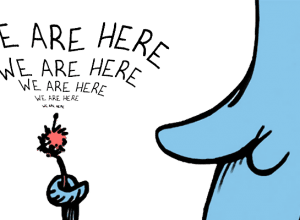 In some cases, the journalistic work of these dedicated client organizations has been an essential catalyst in the process of fundamental social and political change and national evolution toward freer, more open societies. In many countries or regions, an MDLF client serves as the only source of professional, reliable, unbiased news. Our project was to create and produce a book to celebrate their work and the contributions they have made to the advancement of the free press in the world. Media Development Loan Fund First Fifteen Years is that book. It was made public at their annual Media Forum held this year in Bratislava, Slovakia, on May 13th. This location was chosen in commemoration of their very first client in 1995, the daily newspaper SME. The concept for the book was to show the work of MDLF through the lens of the very news events that their clients bring to their audiences. So the central organizing feature of the book is a timeline that chronicles the major national and international news stories for the past 15 years, tagged with a list of MDLF clients that were funded or re-funded in those years. The book also features essays telling the organizational origin story and addressing major questions that face the media and media financing today. 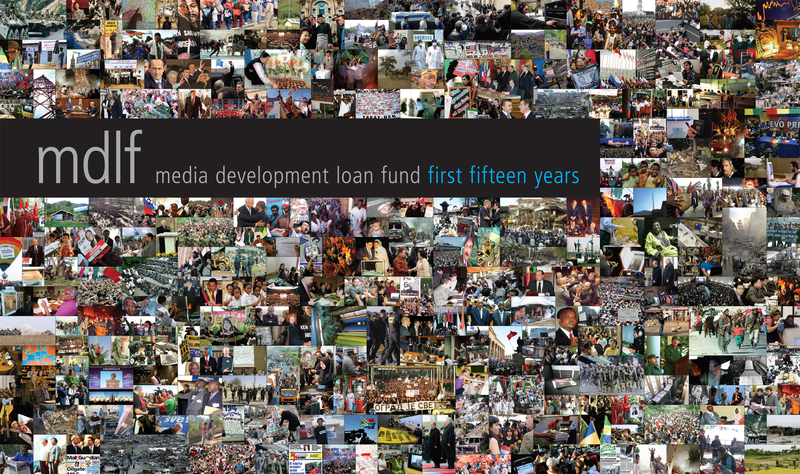 Pulling from this content the cover of Media Development Loan Fund First Fifteen Years, which includes every photograph from the book, was conceived to show the wash of events that makes up the media communications world of today. MDLF has played a quiet yet significant role in the world and will continue to do so. We are proud to have been able to help create this book for them. Tronvig Group has launched the DiMenna Children's History Museum website as part of the New-York Historical Society website. 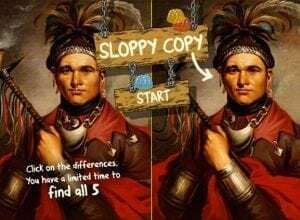 Featured on this new website is a kids section that showcases the first of three kid-friendly educational games: Sloppy Copy. We don't always think of cities as having brands, but they certainly do. 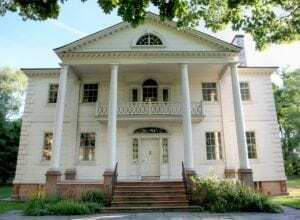 While some cultural institutions are actually strong enough to be active builders of the brands of their fair city, most are not, and most historic house museums are certainly not in such a position. But each institution's history and meaning in relationship with the existing brand of its city is a factor in its success.